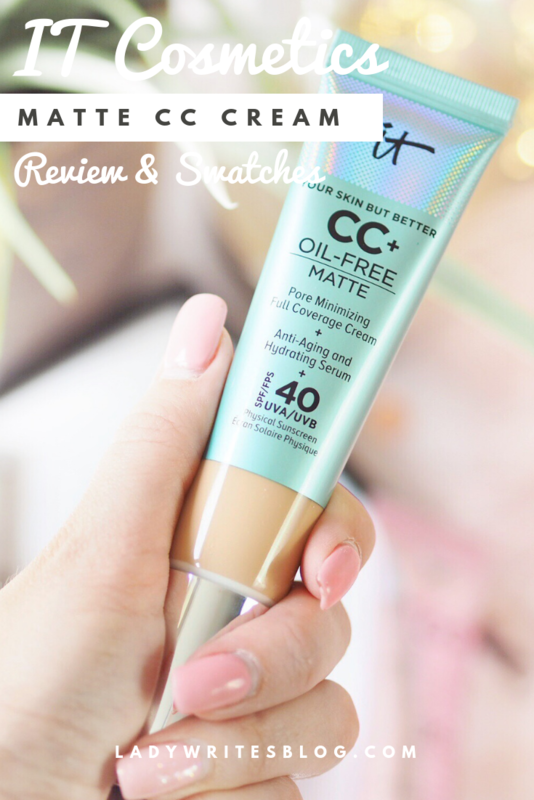 IT Cosmetics Matte CC Cream – How Does It Measure Up? 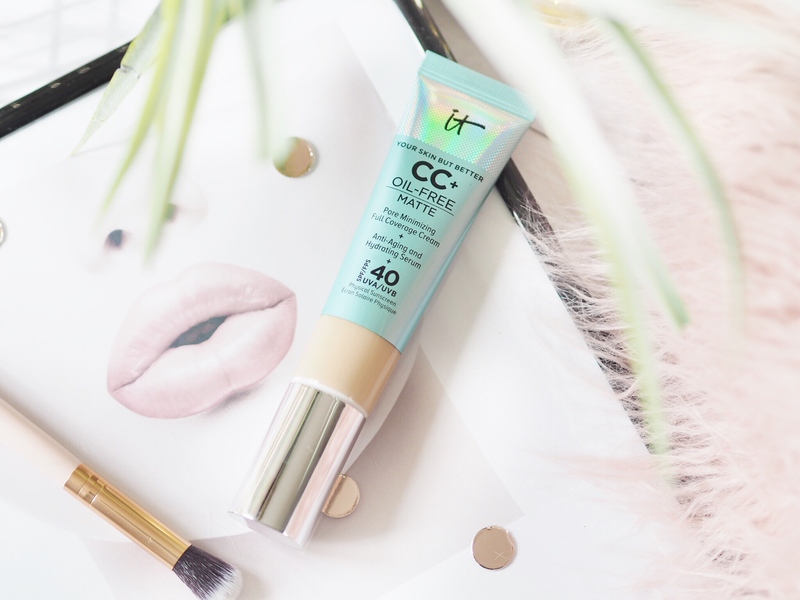 I’ve been a fan of the IT Cosmetics CC Cream for several years now. I’ve raved about it multiple times on the blog (read my initial review here), and it’s one product that I happily rebuy again and again. Products like this tick multiple boxes for me and are useful on both full make up days as well as barely there make up days. So you can’t go wrong with it. The only slight problem is that as someone with oily skin, it could look a bit shiny by the end of the day. It still gave good coverage throughout but hey, the joys of oily skinned people is that everything makes us look a bit shiny by mid afternoon! 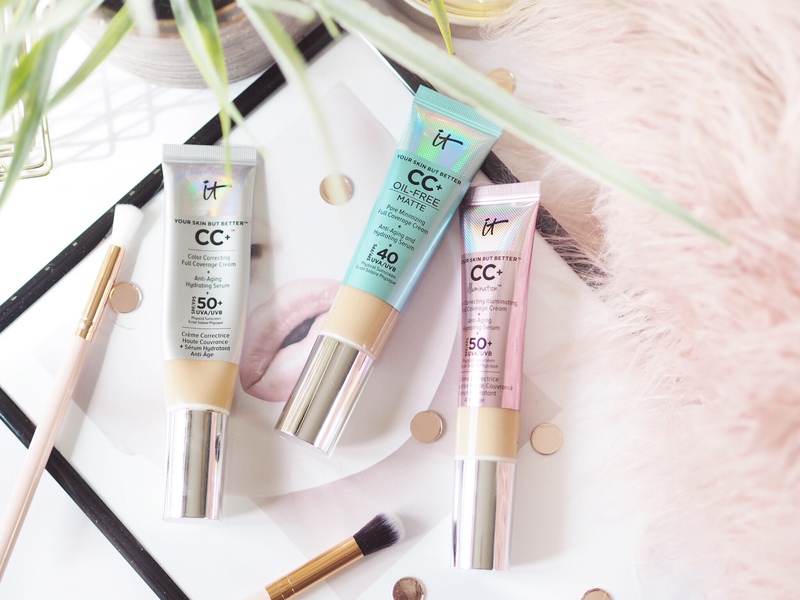 So I was really excited to hear that IT Cosmetics were going to create a matte version of their CC Cream and I’d been trying to get hold of it through friends in the States for ages when it finally launched here in the UK. This was a launch that excited me – because I love the original so much, I couldn’t wait to try it in a matte finish. I wear matte foundation all the time, it’s my favourite type of make up finish so it was only natural that I was going to snap this up. And I’m so glad that I did. The formula is the same so it delivers the nice coverage that you get used to from the original. It’s a full coverage CC Cream – so you can get a barely there, but nice layer across the skin from one application. It just tints the skin enough to even the complexion so if you don’t want to wear anything else, this will cut it for a fresh faced look. Not just that though, the cream blends really nicely into the skin with either the fingers or a nice buffing brush. To the touch it feels like a thick concealer, so in my opinion you’ll want to apply with a brush at first while you get used to it. Then you’ll know how it spreads and blends, so eventually you can pop it on with your fingertips if you prefer. Coverage-wise it felt and looked no different to the original at first – which actually is exactly what you want. You know then that it’s the same base to the formula. It was a few hours into wearing it that you could notice the difference though. The Matte CC Cream never looked matte in finish, but perfectly held the oil and shine at bay, so it was matte-r and it didn’t make the skin look shiny. It kept the oil levels at bay all day, which isn’t something the original one can offer for me. So I was very pleased with it for that. It also helped to hide my pores – which tend to look bigger and more open as the day goes on – this kept them completely covered. I’ve tried this alone for the whole day and also underneath my full make up and found it gives a nice coverage for both. Underneath my make up especially I fell more in love with the IT Cosmetics CC Cream than before – which I didn’t think was possible. It just made my make up stay put and kept the shine at bay for longer than normal – something I’m always pleased about. And it helps me really achieve a full coverage look when I apply foundation on top. I really can see a difference in how the Matte performs throughout the day compared to the original but can also notice the same trusty formula within it too. 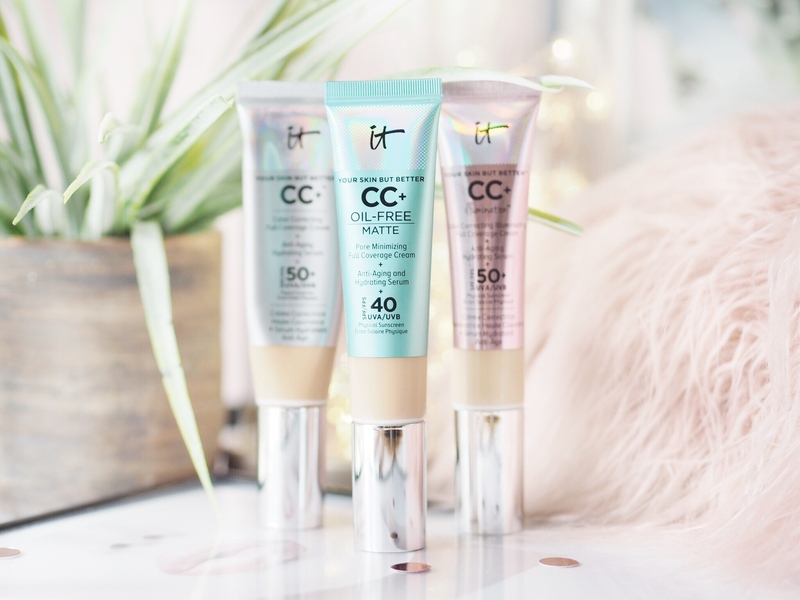 For those of us with oily skin, the IT Cosmetics Matte CC Cream is a game changer because we can enjoy everything that the CC Cream has to offer without worrying about our oil levels starting to break through and patch the coverage. It holds in place, keeps oil at bay and really does offer a great coverage. 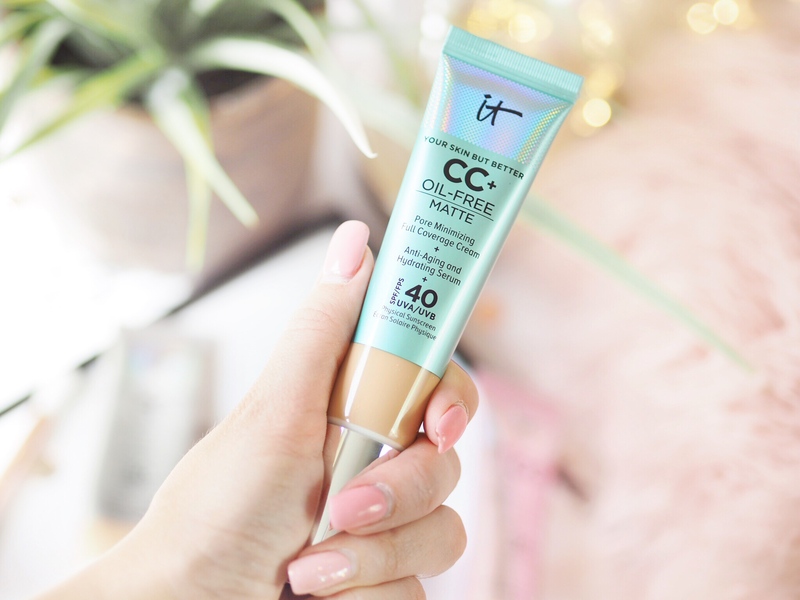 It’s safe to say the IT Cosmetics Matte CC Cream is still as much of a favourite of mine, as ever. This sounds amazing! need to see if they’re vegan friendly asap! I adore the original, so keen to give this a try for Summer! 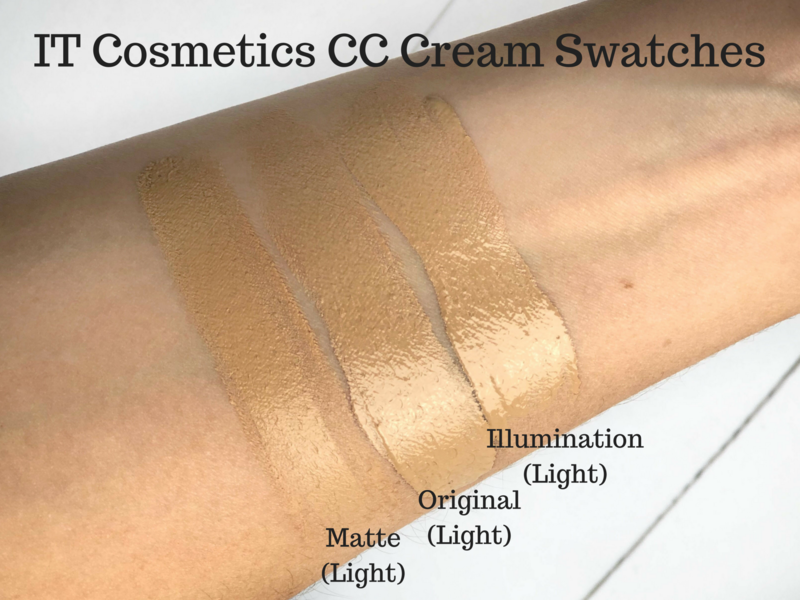 I’ve always wanted to try the original CC cream but now that the matte is available I’m going to be all over that! I need to try this one! My skin glows through the normal one within a few hours so this one is perfect for me! This is on my hit list! I need to see it in store rather than risk an online colour match! I’ve been wanting to try this for ages!! I think its safe to say the matte one is far more up my street, and if it can keep oil at bay then even better! ooooh the illumination one looks like a bit of me! Gorgous! I’ve never tried their brand! I’ve been wanting to try IT Cosmetics CC cream for so long. The illumination one looks like it’ll be perfect for holidays for that glow *mentally adds to list of things to buy for Portugal next year*. I am worried though that light might be too dark for me!